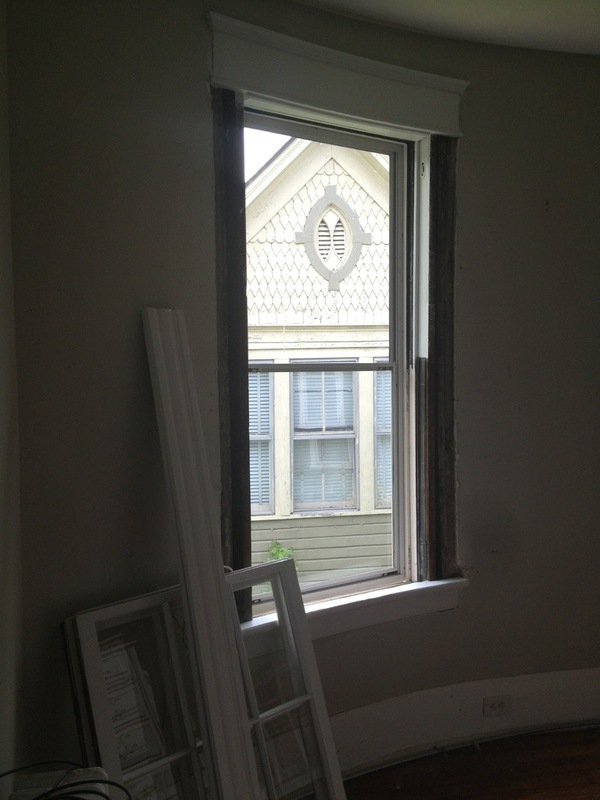 More windows | A covey of Covis! The windows have been delivered but not yet reinstalled. I started working on curtains this morning at Mom’s but the room will have to be painted too before I hang them. 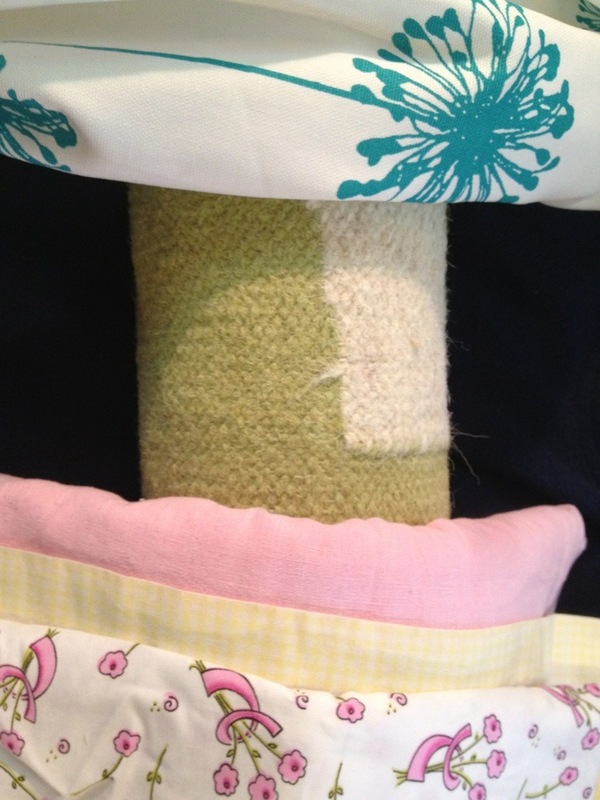 The white with dandelion is the curtain material and the green is the rug.